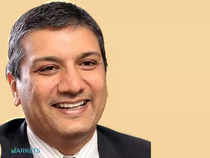 As the economy stabilises and the new government comes in and starts making the right noises in terms of growth in the right pockets, the broader market will start moving, said Mihir Vora, Director & CIO, Max Life Insurance, in an interview with ETNOW. We need fast action in power and real estate segments because no economy can grow for an extended period of time without these segments doing well, says Vora. What is the sentiment on Dalal Street now that it is a given perhaps that we are going to see some sort of clarity on the election front with the NDA getting a majority? The general sentiment is that there would not be any major disruptions post the elections. That seems to be the base case that the markets are working towards. It remains to be seen post election, whichever new government comes in, how do we kick start this economic cycle that has been slowing across various segments. There would be a lot of expectation from the new government but that probably would be tempered by the slowdown we are seeing in so many segments. I think the markets will be in a bit of a consolidation phase taking a new stance with fresh optimism trying to solve the current slowdown. Private capex continues to be a little slow. It is clear that we need a bit of a boost there. What would be your investment rationale in the sectors or pockets that you are looking at? Overall private sector capex is slow and we do not see that easing too soon because the MSME segment is still under a lot of stress, especially with the NBFC crisis that we have seen which has not helped and will probably prolong the situation. On the other hand, the government segment and the government-aided segments are doing quite well. For example, roads can continue for a while. We have seen good progress in the last few years and the manifestos of the party say that this will only accelerate. That is a relatively bright spot. Railways can do a lot.We can do a lot in defence and of course the Awas Yojana seem to be getting traction. Plus we are seeing acceleration in activity on the rural and the urban housing scheme. These are some of the pockets -- mostly construction linked -- where we can see some action. The two IT giants delivered divergent numbers. TCS definitely stood out while Infosys exhibited slower growth. What are your preferences within the space and how have you read into the numbers? The base case is while the global economic growth may be slower than what we saw in the last couple of years, it is still not too bad. We are seeing some positive revival in business sentiment, especially investment sentiment in the US, which is our biggest market. The top line issue should not be there for next year. Company by company, bottomline and margins are varying and that probably will be a function of where the company is in its evolution stage and management stability etc. To that extent, the overall situation seems to be under control and we believe that at 69 or thereabouts, the rupee has little room to appreciate further. With a normal 4% to 5% depreciation, we can see decent earnings growth in IT and so we would stay positive on the segment. You are also overweight on oil and gas. We are looking at crude at about $70 once again and trending at those higher levels at a five-month high now. Elections are around the corner. What is your view when it comes to this segment? Oil and gas covers a whole gamut including petchem where the largest company has upsides, apart from petchem too. Having said that, we see that in spite of us being in the election season, OMCs are hiking prices. The earlier fear of or complete freeze on price hikes by the OMCs does not seem to be panning out. Valuations had been beaten down to quite cheap levels in the last few months. That is why we are seeing some valuation support and fundamentals are not deteriorating too much in the segment. Is it time to look at broader markets for value given that we have seen leadership on the index coming from a few select names? Do you see participation coming in if we are going to be consolidating or moving ahead of these levels? I would think so but it has been too narrow a market for too long which gives me the impression that the FII flows that we are seeing are pretty much “macro tourist” flows. It is algos driving allocations. A lot of ETF-linked flows rather than retail sentiment linked flows. That is not a source of comfort but we need FII flows to sustain the market. Domestic flows continue to be positive, though they have slowed down in the last couple of months. I would expect that as the economy stabilises and the new government comes in and starts making the right noises in terms of growth in the right pockets, the broader market will start moving. Auto sales have been fairly disappointing although the managements have been talking about production cuts. Do you like anything in this space or should it be avoided as of now? As of now, we are underweight but this is a segment where we get good quality high frequency data on a monthly basis. We get the production and the sales numbers etc, so it is not too difficult to track. The broad theme of under penetration, especially in segments like car continues. On a structural basis, we are much more positive on the passenger vehicle segment compared to two-wheelers, where there is a lot more saturation and penetration. Other ones like commercial vehicles and tractors are more cyclical but after the slowdown in the last one year or so, even those can form a cyclical bottom very soon. Markets typically are a little ahead of time and maybe it is the right time to start looking at the segments given that valuations have been correcting for quite some time now. What are the weak points or the risk factors? Global cues have been at tandem right now. What are you tracking in terms of factors to make up your mind about market direction? I would want to see a lot more traction on the NBFC funding. That segment is still divided between the haves and have-nots. Only a few of the good groups are getting funding, the others are at a standstill or even shrinking their balance sheets. That is not a healthy sign because these served the segments which were not getting credit from other sources like the real estate segment, the SME segment and lots of other small enterprises. We need to solve that issue fast. The other big ones are in the power segment where the NPAs have been building up while we did see the CERC come out with a positive step on one of the units. We need a lot more fast action in the power segment and the real estate segment because we have seen that no economy can grow for an extended period of time without these segments doing well. These are segments I would hope the new government takes care of as soon as possible. Given the way crude oil prices have been shaping up -- at $70 a barrel -- how do you view OMCs in terms of earnings? From the accounting point of view, this should be a decent quarter because there will be inventory gains and as we just discussed a few minutes back, we are seeing gradual but continuous price hikes in tandem with crude oil prices. Earlier, the fear was that the companies may not be allowed to do so in an election season. That is a positive for the segment and probably we are nearer the peak of the oil prices unless they go beyond $75 the markets have discounted these levels for sure. Valuations are still on the favourable side in this segment so we would continue to be positive here.